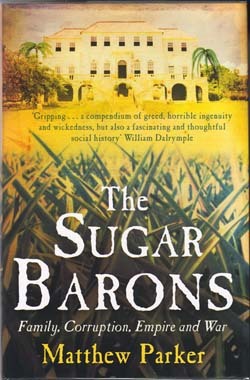 Matthew Parker’s book The Sugar Barons tells the history of three families in the West Indies and does so in a way that covers a wide sweep of the history of the Caribbean from the mid 17th century to the early 19th century. It is a compelling read and extremely well researched. Quoting a number of contemporary sources Matthew Parker describes the background to the context in which sugar would become so important, and the early settlements in Barbados peopled by royalist prisoners of war shipped out of the country by Cromwell. By 1649 rebellion in the poor white population and a fall in their numbers when indentured servants found no land available for them in Barbados, led to the rise of slavery as a means of providing the large labour force needed for the cultivation of sugar. In discussing slavery Parker says “Sugar did not cause slavery in the British Caribbean” and he demonstrates the conditions that led the Barbados sugar planters increasingly to use slave labour, and the international context in which this was set. He shows the rise of the sugar planters in the context of British and international politics and conflict from the mid 17th century onwards. The founder of the first family empire Parker discusses was James Drax a former Roundhead leader who developed plantations in Barbados. Drax Hall which he built sometime in the early 1650s still stands, the oldest surviving Jacobean mansion in the American colonies. 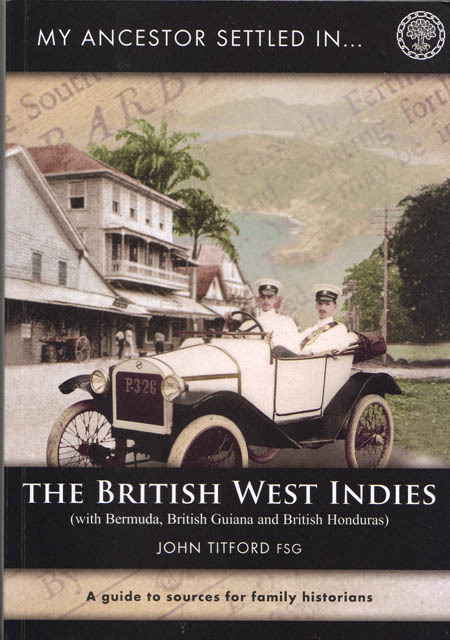 After covering the establishment of the colony in Barbados, Parker describes the invasion of Jamaica and the rise there of the Beckford family. The third family who form the focus of this book were the Codringtons. In the migration of colonists from Barbados to Jamaica they not only extended personal fortunes but also took cultivation and production techniques with them that helped to boost sugar production and make Jamaica the most important of the sugar colonies. Earthquake, hurricane, and epidemic disease all shaped the experience of the Sugar Barons as did the fear and experience of slave uprisings and the Maroon wars in Jamaica. In spite of all this the rising demand in Europe for sugar, and its by product rum, not only created fortunes but also led to the rise of the important West Indian sugar lobby in London. Matthew Parker not only covers the rise of these three important colonial families but also their decline as absentee landlords failed to manage their estates well, spent their fortunes rashly, and did not adapt to changing international conditions. Nevertheless he argues that “The success of the sugar industry helped shape the modern world. After all, the landscape of Jamaica was dominated by ‘dark satanic mills’ long before that of England. The far flung trading system that shifted the sugar and rum to their distant markets and supplied the islands with machinery, raw materials and luxury items, issued in an era of global commerce, long supply chains, and ruthless exploitation of human and natural resources…. The legacy of the sugar Barons for Britain is about more than just the resulting riches…. The sugar empire also helped to define the country’s role in the world and what it meant to be ‘British’ “. 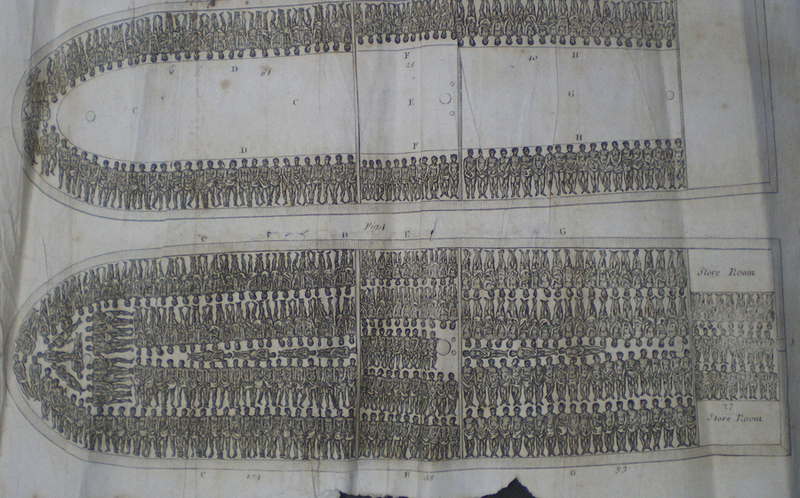 The endpapers include a map showing the West Indies and the Spanish Main about 1700, there are several other maps, and there are a number of black and white illustrations of the places and people described in the book. There are also three outline family trees for the Drax, Codrington and Beckford families, and a chronology of contemporary events setting the family stories in a wider context. Matthew Parker’s book is a compelling read, thoroughly well researched, and a brilliant introduction to the history of the Caribbean and the rise not only of the Sugar Barons but of the modern world. Matthew Parker, The Sugar Barons Family, Corruption, Empire and War, Hutchinson, London 2011. ISBN 9780091925833 Hardback.